A collective of spiritual directors, artists, and others who provide soul care to people with a chronic diagnosis and those who support them. I know an important book has found me when I find myself wondering, “Where was this book when ... ?” That thought circled through my soul yet again as I read through The Soul of a Pilgrim. I have been a fan of Christine’s heart and thoughts since the earliest days of Abbey of the Arts and was eager to sit with her experience of pilgrimage, having traveled that adventure-filled road a few times in my life. As I reflect on the past eight years of my life, I am aware of the immensity of the journey traveled during that time. Throughout those years, I often found myself in the place of “Pilgrim.” Yes, I would have appreciated having Christine’s gentle guidance during that time while also recognizing that the Holy One always journeys with us as we make our way one step at a time. To read her words at this time in my life is to be affirmed that I am not alone in the path I have traveled, and that I am well-equipped for the next invitation to pilgrimage. What a blessing it is when someone dares to focus on a topic so full and multi-layered, and brings some simplicity to the situation so that one is not overwhelmed in the unknowing. Always We Begin Again was created to journey alongside those on the path of learning to live anew when impacted by a chronic diagnosis. As we have continued to develop and grow within this vision, we are learning that pilgrim wisdom applies to those in a time of transition regardless of the circumstance(s) that has brought them to a place of beginning again. In light of that discovery, AWBA is currently developing a January-September 2016 offering of pilgrimage (via Internet and in-person gatherings) for those in a time of transition from “what used to be” to “what will be” whether brought about by a chronic diagnosis, loss of a loved one, divorce or struggle in a marriage as well as the joyful transitions of a new baby, new home, welcome job change, etc. Many of us are in transition of some sort leading us to wonder about the next step. We have asked Christine to expand on a couple of her pieces of pilgrim wisdom for the benefit of our readers and thank her for including AWBA on her book tour. 1) You encourage the use of creative expression as a support on the journey within. What is your response when one’s inner critic claims, “I am not an artist”, and we quickly disconnect from this avenue that could help deepen insights about the path? The artist label really doesn’t mean anything. This journey is about embarking on the creative process as an act of meditation and openness to discovery. No artistic talent is required, and often those who consider themselves “artists” get most in their own way. There is such a gift in offering yourself the grace and freedom purely for the joy of it. 2) Can you talk about the connection between physical and interior "walking"? How do we develop a sense of mindful walking in conjunction with interior slowing? I love this question. Walking is how we physically move through the world. The gift of walking, as opposed to driving or cycling, is we do it through our own initiative without the need for a vehicle. So when we walk mindfully we propel ourselves forward with the purpose of paying attention. We journey through our landscape with eyes open to discovery. This is our call to slow down interiorly as well, to listen, to await with open hands, while walking forward ready to meet what comes. 3) In Chapter 1, you write about those times when we know “we can’t return to life as usual. That way is now closed.” Many of those served by AWBA are living with a chronic diagnosis or are in a caregiving role for someone with a diagnosis. In those times, it is very clear that the alternative to go back to the way things used to be is not an option. How might one “pack lightly” when the pilgrimage is thrust upon you, sometimes with very little warning that a new journey is about to begin? The lack of time to prepare catches people off guard. I advise people to be gentle with themselves. Letting go is a process, it takes time to release what is not needed. Continue to ask yourself: do I really need this? It might be a physical object or a relationship which is no longer working, eventually you will start to notice stories you tell yourself or fears you carry. Keep asking if you can set those aside as well. And if you aren’t ready, or find yourself returning to those old patterns, be ever so gentle with yourself. 4) On page 65, you write about a holy pause and offer the invitation to “notice where we are ‘forcing things’ and then we can let them go. It is about smiling gently at all the inner desires that attempt to grasp control of our lives.” When one is in transition, “fixing and forcing” often seems, at first glance, the appropriate response to gain some slight control over the unknown. What are a few practices we might try to invite a “holy pause” so that we may experience its benefit as motivation to continue the journey in a less-grasping manner? The most foundational practice for me is allowing even a couple of minutes between activities where I take five deep and slow breaths. As much as possible I bring myself present to the moment. Breathing in this way can create such a sense of both physical and emotional spaciousness. My next practice is to try not to fill my life so full with commitments. I have a tendency to schedule things back to back, but even having a half hour between where I can pause, reflect, and rest helps to nurture a sense of life as having more fullness, rather than depleting me. 5) AWBA has received much interest in its yet-to-be-titled “Camino Project.” We are hearing from many that they have a desire to walk the Camino, the Appalachian Trail, and other journeys that take them into a new land where they have time and space to wonder anew. At the same time, due to health and other circumstances, they do not believe this a reality and welcome AWBA’s alternative option of pilgrimage. What words of encouragement would you offer to those brave souls who, even in the midst of uncertain circumstances in their daily lives, are drawn to an experience of living on the edge as a pilgrim “AWBA Style” (online and some in person gatherings)? I would offer every encouragement to see life as the pilgrimage itself. Chronic illness offers more than enough opportunities to travel to foreign landscapes and to encounter the stranger both within and without. Placing unrealistic expectations for long-distance travel on ourselves is not the journey of pilgrimage. The journey is to discover the invitations to new understandings of home right in the midst of our lives. So much the better when we can do this with companions. 6) Physical pilgrimages typically have a final destination to be reached where the pilgrim can celebrate and honor having completed the journey. When one is on an inner journey, how might he or she know that a destination has been reached and what are some ways in which that could be honored? It may take a long time of wandering before we feel like we have arrived. In the Celtic tradition this was called peregrinatio, and years of wandering for the love of God was encouraged until they reached the “place of their resurrection.” I love this image and we might have it affirmed in our dream life, in our conversations with a spiritual director or soul friend, or in a sudden awareness that we ourselves have broken open and changed. Perhaps an old pattern or story has been keeping us rigid, and suddenly we find ourselves softening in new ways and discover a sense of being “at home” that we hadn’t experienced before. However that knowledge emerges, I always encourage celebrating every step of the way. Invite friends over to share a meal, go to a beautiful place in nature for a simple ritual perhaps engaging the four elements of water, wind, earth, and fire. Ritual, community, and the witness of the earth feel essential to me. 7) Would you share with us a moment in your own life where the journey may have seemed simply too difficult and how you moved through that challenge? In the spring of 2000 I was in the middle of graduate studies and I started having a serious flare of my rheumatoid arthritis. At the same time our rent on our apartment was being doubled and my husband’s job at a church was being terminated. It was an exquisitely painful time. I made it through my staying faithful to myself, showing up each day to be present to the profound grief and discomfort arising. I reached out to friends and family members for support. I breathed a lot and I continued practicing not grasping at what I thought the outcome should be. We extend our deepest gratitude to Christine for sharing her insights with the AWBA community. If this resonates with you, consider joining AWBA for its 2016 pilgrimage. Follow this blog and/or register for our monthly newsletter at www.myawba.org to keep in touch with AWBA's Camino Project. As AWBA continues to develop the curriculum for its upcoming pilgrimage as an inner journey currently titled "Camino Project", we begin by introducing you to author and online Abbess of Abbey of the Arts, Christine Valters Paintner. 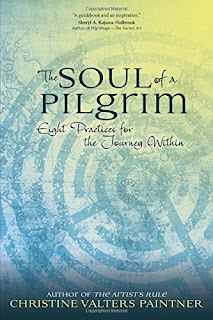 Christine's newly-released book, The Soul of a Pilgrim, will provide our container for the nine-month pilgrimage to begin January 2016 and conclude nine months later, September 2016. AWBA's version of the Camino de Santiago will take place virtually as well as through optional in-person gatherings. We are finalizing details for a variety of subscription packages so you may choose how much you would like to participate. This experience will be open to those impacted by chronic diagnosis as well as others who find themselves in a season of transition, regardless of the circumstances. If you do not already receive our monthly newsletter, register your name and email address on our home page at www.myawba.org to stay in the loop about registration for this event. We invite you to read Christine's own story about pilgrimage through her experience with a diagnosis of rheumatoid arthritis. Be sure to visit the links in her bio shared at the end of her story. Watch for an upcoming book review and interview with Christine to follow in a few days on our blog. I was first diagnosed with rheumatoid arthritis when I was 21 years old. The only other person I knew at the time with this disease was my mother and her body had been ravaged by the effects of deterioration, with multiple joint replacements and eventually use of an electric wheelchair for mobility. I first dealt with my diagnosis through denial. I had just graduated from college and traveled across the country to begin a year of volunteer work. I managed to push my way through fatigue and pain for about six years before I was forced to stop. I was teaching high school at the time and my wrists were growing ever more painful. An xray revealed severe damage to the joints despite the aggressive medication I had been taking. My doctor urged me to stop teaching, it was too much for my body. Thankfully I had private disability insurance through the school where I worked that helped sustain me financially first through a year of rest and healing and later through five years of graduate work to earn a PhD. I lived much of that time with the fear I would never be able to support myself financially. I was profoundly grateful for my loving husband who worked to provide for our needs. A great gift arrived to me one day at church, when a woman asked me that dreaded question. I responded about taking time for healing and she said, “oh, you’re on a sabbatical.” And with that phrase came a wave of relief, a connection to ancient wisdom about our need at times for deep restoration. Language has a way of breaking us through to new understandings, to shift us out of old stories which bind us. I feel similarly about “pilgrimage.” When I first encountered this concept I felt enlivened by the idea of meaningful and sacred travel. My father had worked for the United Nations and exploring other cultures was always highly valued in our home. But the more I explored the root of the meaning of pilgrimage, the more I discovered it as an empowering way to frame much of our life experience, especially those times we are thrust onto a journey not of our own choosing. I often define a pilgrim as one who embarks on an intentional journey to court holy disruption. Disruption is a welcoming in of being uncomfortable, of being called to our own edges. The root of the word pilgrim is peregrini, which means “stranger.” To become a pilgrim means to embrace our own strangeness, the strangeness of the journey we are on, as a way of breaking open all of our assumptions and expectations about how the world should work.Certainly illness moves us into a landscape where we feel keenly this sense of being a stranger – whether to our own bodies, or in navigating health care systems and doctors to find relief and support. Understanding my life as a pilgrimage, and especially my experience with chronic illness as a kind of sacred journey, doesn’t require that I dismiss the profound pain and uncertainty this brings. Instead it asks me to embrace mystery and unknowing, to seek fellow companions along the way, to understand that the profound discomfort of having so much stripped away can reveal my own gifts in service of healing others. The year I turned forty I flew to Vienna, Austria by myself for a time of retreat. During the flight I developed a pulmonary embolism which took me several days to get treated. It was terrifying to realize I could have easily died walking alone on those city streets. In allowing myself to be fully present to the fear, to witness my experience with profound compassion, I found myself moving away from the victim’s cry of “why me?” We will never know the answers to those questions. There is powerful Greek myth about the young maiden Persephone who is abducted into the Underworld by Hades. It is a story of innocence lost. Many of us diagnosed with serious illness feel in some ways “abducted” by forces more powerful than ourselves. Persephone was told that if she ate anything while there she would need to stay, and while some versions say she was tricked into eating the pomegranate seeds, I prefer the versions where she makes this choice herself. As a result she is required to stay there part of each year and becomes the Queen of the Underworld. She moves from victim to sovereignty. She steps into her role as guide and companion to others who find themselves in that Underworld territory. She becomes the wounded healer. Instead it means being willing to court holy disruption, to become profoundly aware of our inner movements, to claim responsibility for our choices about how to respond to this place we find ourselves in, and welcome in discomfort and strangeness as carrying the possibility of new revelation. Christine Valters Paintner, PhD is the online Abbess of AbbeyoftheArts.com, a global virtual monastery offering resources for contemplative practice and creative expression. 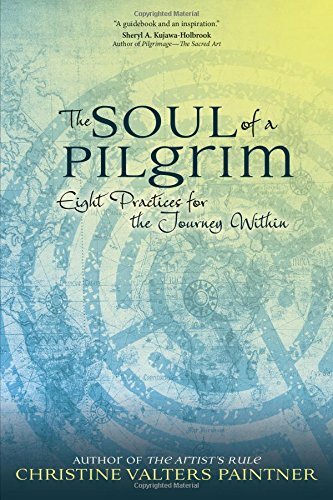 She is the author of 8 books including her most recent The Soul of a Pilgrim: Eight Practices for the Inner Journey which evolved out of her and her husband’s own midlife pilgrimage experience of leaving everything behind to move to Ireland where they now live and lead pilgrimages to sacred sites. Thoughts of pilgrimage have been my consistent companion for the past year since my husband's and my life-changing relocation from the place that was home for over 20 years to a more rural and natural setting in which we have settled as a hand slips into a perfectly fit glove. It is as though our bodies have been inverted. Pieces of this beginning again have been easy and some have been hard. Whether you make a conscious choice for a life change or have it thrust upon you in some manner, it seems important to learn how to walk in this new land and to invite a new perspective to companion you on the unknown path. To cling to an old perspective while trying to adapt to new circumstances makes it nearly impossible to thrive. How familiar are you with your current "landscape?" Pilgrimage need not be limited to physical journeys that take us to foreign lands. We can embark on an interior journey of pilgrimage that invites the scales to fall from our eyes so that a new heaven and earth comes into view to create the landscape that best suits this season of life and all that it has to offer - even if unwelcome. you will find yourself among others who seek to begin again in a new season of life and to do it well. Stay connected to AWBA via this blog and/or register to receive our monthly newsletter for updates on this event. Currently, we expect this program to be offered January-September 2016 with Internet support for those not in our area as well as in-person gatherings in central and southeastern Ohio. You will choose how much you would like to be involved and may register for the entire pilgrimage or part of it. The little lamb in the above image has chosen to lay on her back for a while and look at the world in a different way (or perhaps she was pushed over against her will!!). I wonder what she sees as she looks up? I like that she has someone standing nearby to help her if she needs it, and to remind her that she is safe as she considers a different view of her daily existence. It is AWBA's intention to offer a safe and sacred community in which you may do the same. With my physical move last summer to a new home, I continue to seek out new professional services closer to home. This week, I am visiting a potential family doctor for myself. I have noticed that as I age, I am equally concerned about a doctor's attitude toward wholeness and complimentary approaches to health and wellness as well as their background and training with more-established Western medicine and protocol. As I move more deeply into expressive art as a path to wellness, I am even more convinced of the effectiveness of choosing a wholistic approach to my time on this earth. I know that some of you are coming to believe in this as well. Good medical care provides a foundation for our overall wellness. We must tend to physical symptoms demanding attention. At the same time, what if in addition to the prescribed medications we also prescribed ourselves times of expression that help us to release whatever emotions surround our soul and, with time, begin to build a bridge to insight about life choices, changes of attitude, etc. This expression can include visual art, clay, sculpture, knitting, gardening, animals, weaving, photography, poetry, movement, etc. I believe this level of creative self-care alongside someone trained to help you process the emotions and thoughts that arise invites room for channeling all of that insight into a more peaceful, less stressful existence that allows our physical self more space in which to heal. And, perhaps, might that depth of wellness help prevent some potential physical ailments related to stress and busyness? More and more hospitals and medical settings are tending to their environments and programs with the addition of art spaces and studios, meditation gardens, natural elements, staff artists to meet with patients and clients, etc. I am very excited to see these changes. AWBA will continue to explore these opportunities through our collective of artists and spiritual directors. I am excited about the upcoming experience of Touch Drawing on June 2. You may recall that we chose to open this program to those in a season of transition regardless of the circumstances that have brought them to this time in their life. Loss of a loved one, retirement, job change, divorce, parenting struggles, chronic diagnosis, issues associated with aging, and so many other life changes can open the door for stress, disorientation, grief, etc. as we navigate those in-between places of transition. Our souls long for a sense of hope, peace, and a sense of connection on that journey. It is AWBA's desire to continue to be one of those resources for you. For those of you who read our blog and do not receive the monthly newsletters, I want to let you know of a change in our upcoming Touch Drawing event scheduled for Tuesday, June 2, 10:30-12:30. We had a few people reach out to us who do not consider themselves directly impacted by a chronic diagnosis and are very interested in this program. We have chosen to open up registration to all those seeking to "begin again" in a time of transition. You can read a full explanation of this by visiting us on our Facebook page which has a link to the newsletter that was mailed early this week. You can also visit the upcoming events page of our website for similar information and registration details. The deadline to register is May 25 and space is limited to 12. If you are new to Touch Drawing and its value in receiving guidance and wisdom through images, visit www.touchdrawing.com and you can read more about the founder's story at Deborah's story. I have found Touch Drawing to be a helpful practice for myself and am eager to share more with you. Email me at director@myawba.org if you have questions after reading through this material. This will be a fun, relaxing morning with kindred spirits, light refreshments and the hospitality of the Worthington Hills Country Club. Hope you can make it. For many reasons, one of which is likely age, I have become a very early riser. Even when I need to sleep in due to a late night, my body still awakens sometime between 4:30 and 6:00 a.m. Occasionally I will remain asleep until the 6:30 alarm -- very rare. Because I work from home and am engaged in ministry woven around the schedules of others and my own wacky and unpredictable daily agenda, I have slowly (and somewhat reluctantly) accepted and adapted to my body's internal time clock. Although I am awake early, I try not to schedule any meetings until the afternoon or at least not before 11 a.m. Settling into this new morning rhythm has given me the time and space for quiet, reflection, reading, journaling, art-making, walking, sitting -- just being present with God and what the Spirit may have for me on that day. As chaos ensues quite often in the remainder of the day and evening hours, I am grateful for the opportunity to enter into those experiences with some sense of calm and peace surrounding me and those I will interact with. Today, I was awake at 5 a.m. which enabled me to be fully present with a cup of tea as the new day began. This was my Sacred Space in which to begin the morning as the birds sang me into the day. For Lent (and it appears finishing it in Eastertide), I am reading John O'Donohue's book Beauty. I have had this book for a few years and never quite got to it. I am a Benedictine Oblate with Mount Saint Benedict in Erie, PA. One of the sisters recommended to fill each day of Lent with "beauty" which called me to this book that has been a perfect companion to my morning rhythm. This view at daybreak a few hours ago made the words I read into a gift from the Holy. It is not always this way, however, is it? I have had seasons of life when I have been in a medical setting at 3 a.m., 6 a.m. without a window in sight; when I have, thankfully, slept until late morning after being awake for much of the night due to concern for a loved one or my physical presence with them; and those seasons when any sense of a spiritual rhythm was confined to a lot of deep sighs and prayers of "Lord, come quickly." Those hards times remind me that when I can seize these moments of relative calm and gentle breathing, I absolutely must claim God's gift to me for refreshment. I have been healing from a significant stomach virus that arrived while I was out of state (never good timing). My husband and I returned home two days ago after 20 hours of travel. 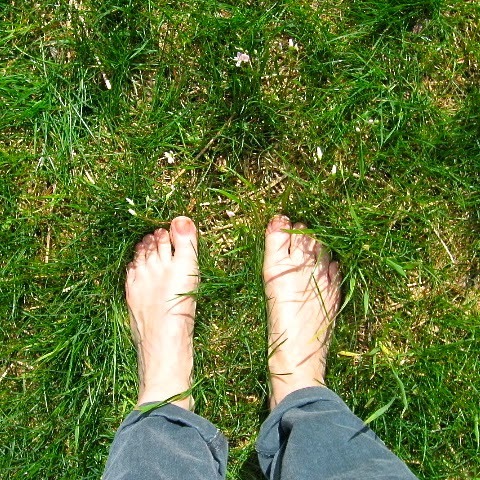 Feeling weary and terribly unproductive, my bare feet had to claim a bit of Sacred Space shortly after our arrival home to lush and abundant grass amidst a few beautiful pink wildflowers. I gentled myself into the space of home, moved a bit more slowly, released all expectations for "catching up", and allowed what I know can heal me to do its work. It has done its magic. Our bodies may not always be at their best. I have come to learn that our soul, our spirit, is there to support us into a place of healing, of wholeness, of nurture even if the physical is not immediately relieved of its pain, discomfort or general dis-ease. We need to simply learn how God desires to nurture our soul and, then, receive the nourishment offered in each moment. I invite you to find a piece of Sacred Space today. It may be in the outdoors where mine is most often found. It may be in the soft embrace of a pet. It may be in the comfort of a favorite chair. It may be in the warm touch of someone who loves you. It may be through the words found in a sacred text. And perhaps, for you today, it may be found in taking a few very deep breaths as you exit a medical setting and and notice whatever your senses bring to you in that moment. Sometimes we simply need to expect God to provide and, then, to stop, notice, receive the gift, and whisper a heart-filled "thank you" to the One who gives to us always. Our Blog Community continues to grow and many of you have shared you find encouragement here. I invite you to take a moment to comment to this particular post. You each have a gift to share with others in this community. Where is your Sacred Space? Perhaps you will encourage another to think outside the box and find a new space in which to find nourishment. And, perhaps, you will find another kindred spirit in your space with you. Merriam-Webster defines "camino" as path, road, journey, way. The past few years I have found myself drawn to the experiences of those who have walked the Camino de Santiago through northern Spain. As much as part of me wants to embark on this sacred pilgrimage route that ends at the Cathedral of St. James in Santiago, traveling this mileage on foot with a backpack strapped to me seems a bit beyond reach for me at this time in my life (never say never I have been told). 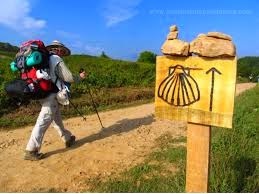 Although a long, arduous journey like the Camino de Santiago may be beyond our capacity due to life's circumstances, I believe that many of us walk our own version of the Camino in our daily lives without being fully aware of the journey metaphor and the spiritual lessons available to us. As the snow has cleared in my wooded sanctuary, I have returned to early morning walks. 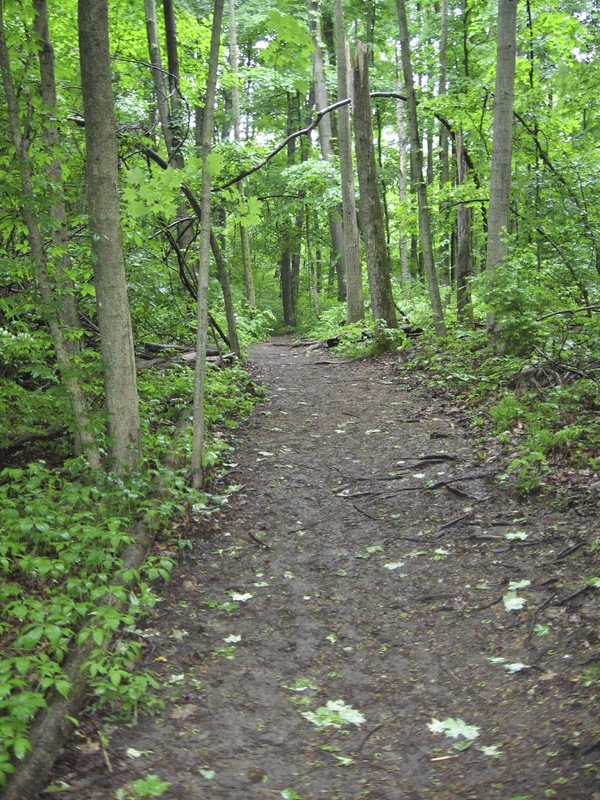 I pray the day's lectionary from the Book of Common Prayer, read a few pages from books I am working through, do a bit of writing, and then take to the woods for God to speak to me in the silence of nature and God's own created order. Toward the end, as I become winded with the many small hills and turns of this 20-30 minute walk, I cannot imagine doing this for 5-8 hours a day for five weeks through the Spanish countryside. I have taken to calling my morning walks my own version of "Camino." I am, indeed, on the journey walking a path every morning wondering of God's wisdom for me in that day. It is a rich time of prayer. As I continue to settle into this new home of eight months, prepare for increased programming through AWBA and the pace it requires of me, and recall the myriad of life-changing events of the past six years that have brought me to this place on my journey, the Camino metaphor takes hold. I can feel the physical weight of a backpack strapped to my shoulders and the exhaustion in my legs traveling on unpredictable terrain. I experience the isolation of realizing that sometimes I am on the journey in seeming solitude. I continually look for signs to ensure I am still on the path, and look ahead wondering where the path leads and where, when and how it will end. If this discussion stirs something in you, here are a few written and visual resources about the Camino de Santiago that you may want to check out. As you google through these few links, you will find an abundance of other options if these few do not connect with you. An Internet-based curriculum is beginning to write itself around the ideas of personal journeys and Camino-like roads that we travel. If you would be interested in something like this, would you please let me know of your general interest by sending a brief email to me at director@myawba.org. If we get a few nibbles on this subject, I will move forward to develop this idea for a late summer/early fall offering. Blessings on your journey. May the Holy One give you courage to continue when the way is long, friends to accompany you on the way, and a sense of humor to keep your backpack light. A place of community for those impacted by a chronic diagnosis. I am the executive director for Always We Begin Again. I also meet with individuals as a spiritual director and expressive arts practioner, and facilitate group retreat experiences. Visit our website at www.myawba.org to learn more about upcoming events, check out our resources, and connect with us. Like us on Facebook at "Always We Begin Again."